JD Edwards clients face a huge dilemma – to undertake a large resource-intensive and time-consuming upgrade, or continue with an antiquated release. While there is a huge outgo toward vendor support cost, there is no benefit as newer functionality can be leveraged only after moving to the newest release. LTI’s “M.O.D framework”, based on the principles of Modernize, Optimize and Digitize legacy applications, powers JD Edwards customers to transform their business and make it competitive, smart and contemporary. This framework is based on the paradigm of “reducing AMS spend on to fund transformation”. It leverages next-generation functionalities & modern best practices, and minimizes the cost of support payable to Oracle (in case you are on an older version, which is on an extended support of Oracle). 1. Accelerated upgrade, using LTI’s proprietary tool-based framework, and tools such as RetroSmartTM. 2. Mosaic-based automation-led global template development and multi-country rollout. 3. AI-powered AMS managed services. 4. Proprietary shared services for process optimization. 5. Enhanced customer experience, covering mobility and AIS web service. 6. Improved business outcome through IoT orchestrator. 7. Superior user experience, with UX One / Café One. 1. 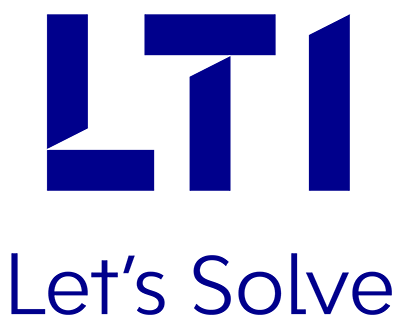 Upgrade at an Unmatched Speed – Reduction in upgrade time by 33%, using LTI’s proprietary tools and frameworks. 2. AI-Powered Managed Services Framework – Reduction in AMS spend by 45% & cognitive/AI-based “Mosaic Run” model. 3. Evergreen JD Edwards – Future-proofing of (insulate your) JDE investment, through Evergreen JD Edwards, combined with a proprietary shared services model.